Three different virtual courses, offered by Michelle Fontaine of FBSmarty, begin in August. Introduction to Social Media, Facebook for Business and Advanced Strategies for Social Media are virtual courses. The courses are designed for businesses to build or reinforce their social media strategies with a hands – on approach or to gain a better understanding for outsourcing purposes. The courses are 1 hour a week, from 7 – 8 p.m. for 6 weeks starting August 14, 15 or 16, depending on which virtual course you take. Each module comes with a presentation, the virtual class, the recording and the transcript of the class. Class size is limited to 24 students for best interactivity. 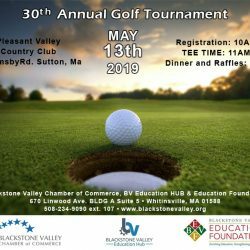 The Blackstone Valley Chamber of Commerce, in affiliation with FBSmarty, is pleased to offer you a 50% discount to any of the three courses which is a value of $97 to $138, depending on the course. This offer is based on availability virtual seats. To receive this special discount, enter the code BVChamber50off during the registration process. Introduction to Social Media covers: Facebook, YouTube, Twitter, Google+, Pinterest and LinkedIn–gaining an understanding of how to optimize and tie each of these networks together. Facebook for Business covers: Setting up a basic business page, the admin panel, engagement, gathering fans, customizing and analytics. Advanced Strategies covers: Facebook Custom apps, contests, promotions, social plugins, mobile applications and webinars. Prerequisite: Must be comfortable working with Facebook business pages. 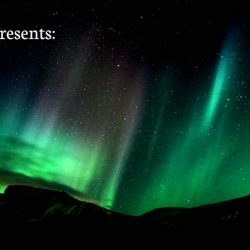 To view descriptions and syllabus for each course, go to www.fbsmarty.com or you can go directly to the registration at http://www.eventbrite.com/org/1711589844. Michelle Fontaine is qualified and experienced. She earned her MBA from Assumption College in 2002, has decades of experience in corporate marketing communications, is a certified teacher, and has focused on Social Media since 2010. If you have any questions, contact Michelle Fontaine.